Photo by Ihsan Ibraheem/Preemptive Love Coalition. 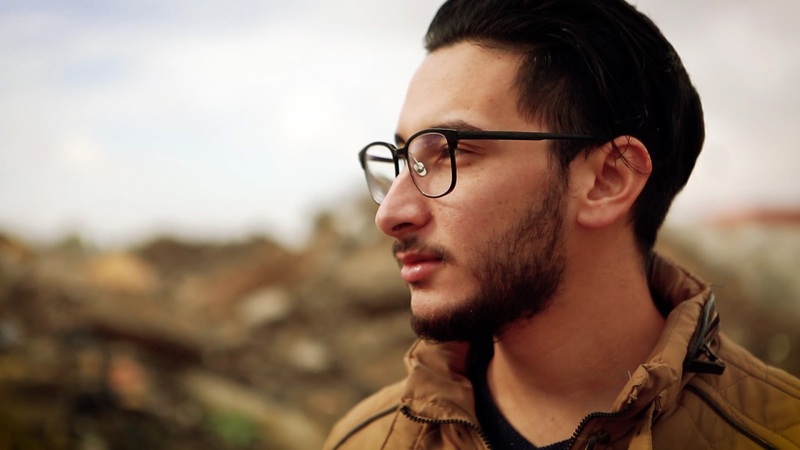 When Abdullah’s father was taken by ISIS in front of his eyes, he recalls sinking into depression, losing his interest in life. “I couldn’t do anything,” he said. “I didn’t want to do anything. I never left my house.” He had stopped seeing his friends, and when he enrolled in WorkWell—our tech hub that teaches computer science, coding, and freelance—things were difficult for him. The trauma of what ISIS had done to his family had shaken him to the core, and its effects lingered. When Abdullah first enrolled in WorkWell, it was neither the curriculum nor English—the primary language of classes—that he had problems with, but a deeper obstacle. Abdullah knew it was something he’d have to address. A qualified engineer, leading projects with confidence and clarity would be a requirement in his profession. And he might have lacked confidence, but certainly not courage. The grit with which he had completed his engineering studies before enrolling in WorkWell, served him well again. So he made a plan. Abdullah asked his teacher, Dr. Qasim, if he could do a short presentation—just a couple of minutes long—every day during class. Dr. Qasim was happy to support this and Abdullah soon found himself introducing daily lessons to his classmates. It was daunting at first. Who hasn’t experienced the pressure of many eyes, and the weight of the expectation their gazes seem to carry? But day by day, one small step at a time, Abdullah fought anxiety’s claim on him, and found his confidence growing. The glare of the limelight lost its harshness. Abdullah at his graduation. Photo by Ihsan Ibraheem/Preemptive Love Coalition. Two months later, Abdullah graduated from WorkWell. At the graduation ceremony, he stepped up to the podium to speak to his entire graduating cohort. In front of many eyes, and many cameras, Abdullah delivered his speech with ease, and no trace of his former trepidation. “This is change,” he later said, certificate in hand. Abdullah credits WorkWell with changing his life: bringing him not only skills certification, but also new friends, teachers, and a renewed sense of self. WorkWell equips victims of conflict with the skills to access the online marketplace, opening up new opportunities to make a living. Because of you, Abdullah and many other victims of war have the opportunity to create new lives for themselves and their families, through the global digital economy. This year, with your help, more people will take that first step toward changing their lives. Help displaced students take the first step toward changing their lives. Donate today.